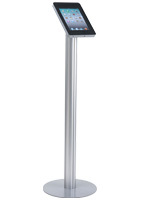 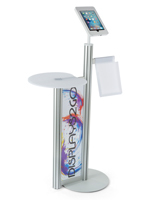 This floor standing iPad kiosk with shelf is a great fixture for advertising at a trade show exhibit. 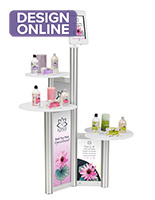 Customized messages and rolling presentations can announce a sale or new merchandise, or underscore a branded message. 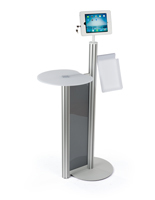 The iPad kiosk with shelf has a frosted acrylic countertop for resting notes, products, and brochures. 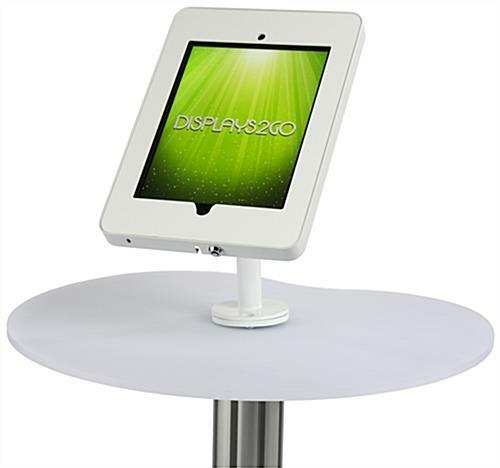 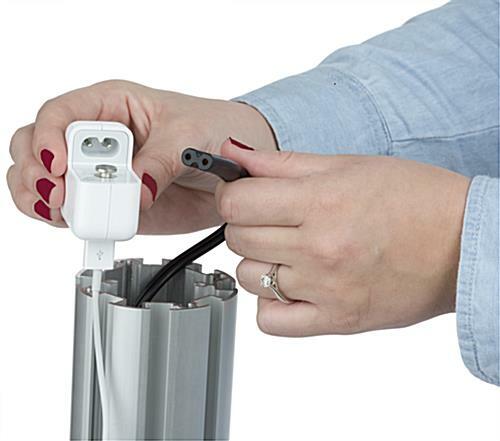 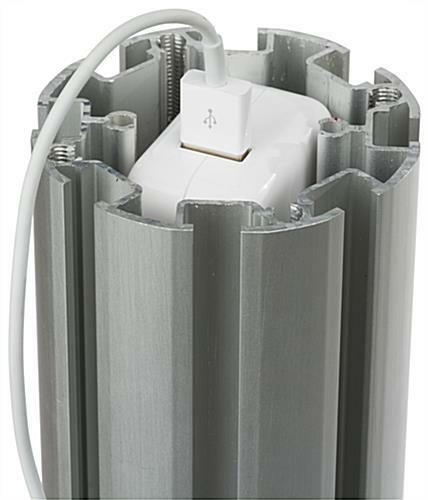 This locking acrylic touchscreen holder has a heavy steel base and a hollow center through which a figure-8 cord is pushed through so it can plug into your USB adapter out of the base. 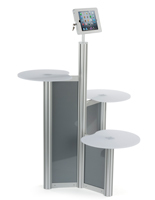 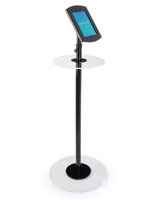 This iPad kiosk with shelf and heavy steel base as a rotating and tilting enclosure that provides views from any place in the venue. 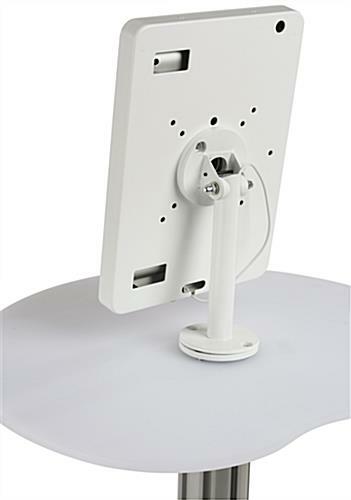 The fixture has an accessible head phone jack and speaker opening for audible capability. 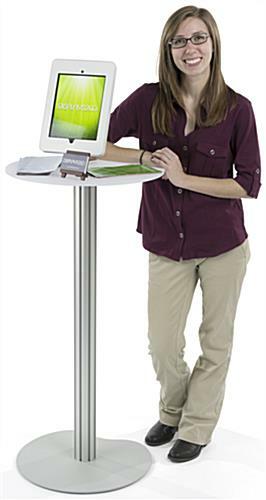 Buy this iPad kiosk with shelf to effectively promote your company or cause, boost a brand, and create a multifunctional work station. 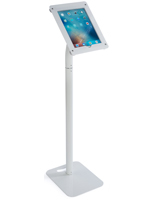 Please Note: Includes 2-prong AC power cord. 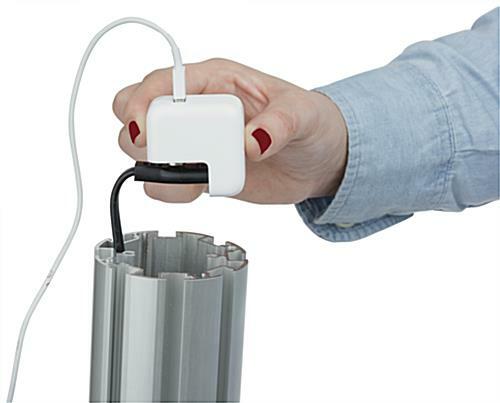 Device charging cords and adapters NOT included. 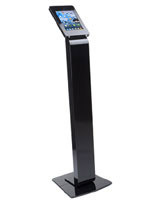 8.3" x 11.6" x 1.0"